Charles Cox, Sr. is a 60-year-old man whose life completely changed three years ago when he had to suddenly leave work as a result of health complications. Charles is facing kidney failure and has been diagnosed with end-stage-renal disease. As a result, Charles is in desperate need of a lifesaving kidney transplant and needs the help of his family, friends, and community to make it happen. Transplants are lifesaving but very expensive and Charles cannot go it alone. Charles is a hard-working, kind and loving man who was born in Boston and graduated from Boston High School. While living in Boston Charles met his wife, Barbara and they have been married for over 40 years. They later moved to Beaufort, South Carolina to provide a better life for his family. Charles and Barbara have four children together; Tonya, Tanisha, Ernestine and Charles Jr. Charles also has eight grandchildren who keep him on his toes and are the love of his life! 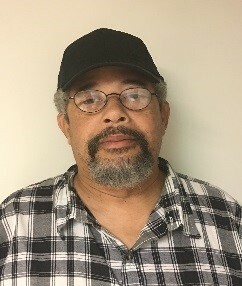 You may know Charles from working for Beaufort County School District where he’s worked in maintenance, specializing in plumbing for over 15 years. Or you may know him from Fripp Island Resort where he also worked as supervisor over the maintenance department for over 10 years. Charles enjoys fishing, spending time with his grandkids and with loving and supportive family. He is also known for his outstanding cooking skills. As you can see, Charles has always had a zest for life and has been a very hard working man, working multiple jobs to provide for and support his family. He is a great husband, father, grandfather, a role model and person — Charles deserves the chance to return to good health through a lifesaving kidney transplant. After many years of helping others, Charles is now the one who needs our help. Transplants are lifesaving but financially draining. Funding this life saving procedure is a monumental task, as there will be many medical expenses not covered by Medicare or insurance: co-pays and deductibles, medications, anti-rejection medications, lab fees and clinic visits-costs could top $20,000! Charles’s travel expenses and more, are adding up to more than the Cox family can handle alone. 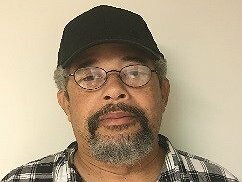 To help with the financial burden of Charles’s uninsured expenses, a fund raising campaign in his honor has been established with Help Hope Live, a trusted nonprofit organization that has been providing community-based fundraising guidance to patients and their families for more than 30 years. All donations are tax deductible to the full extent allowed by law, are held by Help Hope Live in the South-Atlantic Kidney Transplant Fund, and are administered by Help Hope Live for transplant-related expenses only. To make a donation to this fundraising campaign, click on the yellow DONATE NOW button. For more information, please contact Help Hope Live at 800.642.8399. Your support is critical to the overall success of Charles’s struggle. If we all work together we can make Charles’s prospects for the future much brighter. Thank you for your prayers, support and generosity. Charles’s greatest joy is looking forward to watching his grandchildren grow and being a part of their everyday life. Charles I have no doubts you will make it through this trial in life with your loving family and friend's prayers and support. My family and I are praying for you and your family. We love you! Stay strong! Charles, we want you to know that you and your loving family are in our thoughts and our prayers. You can do this and we wish you all the best! To my Hero my Dad, This is just one more obstacle for "us" to get thru "together" as a family! You got this! "Family First!" I LOVE YOU DAD! My Best Friend, My Ace, My Right Hand Man & Most Importantly My Dad! We Got This!! !